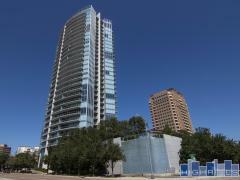 Gables Uptown Tower is a luxury high-rise apartment building soaring 22 stories above Uptown Dallas. Sweeping views, spacious floor plans, and high walkability make Gables a great place to live. Residences come equipped with upgraded interiors and energy efficient appliances while the community boasts amenities including a 24 hour fitness center, swimming pools, sun deck, and resident social activities. The central location is just steps from restaurants, entertainment, and art & culture including the Museum of Geometric and MADI Art. Have any comments or questions about Gables Uptown Tower? Ask your question and/or share your thoughts about this Building.